Welcome to Poe Cooperative Nursery School (Poe Co). Poe Co is a parent coop that has been serving children in the city of Houston for over 42 years. 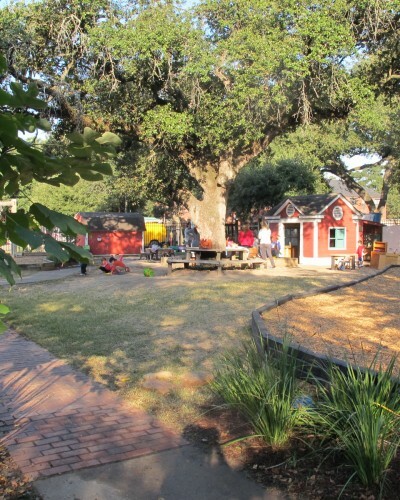 Our private, non-profit nursery school shares space with Edgar Allan Poe Elementary School, a Houston public school. Poe Co is located in a historic neighborhood near the Museum District, between U.S. Highway 59 and Rice University. 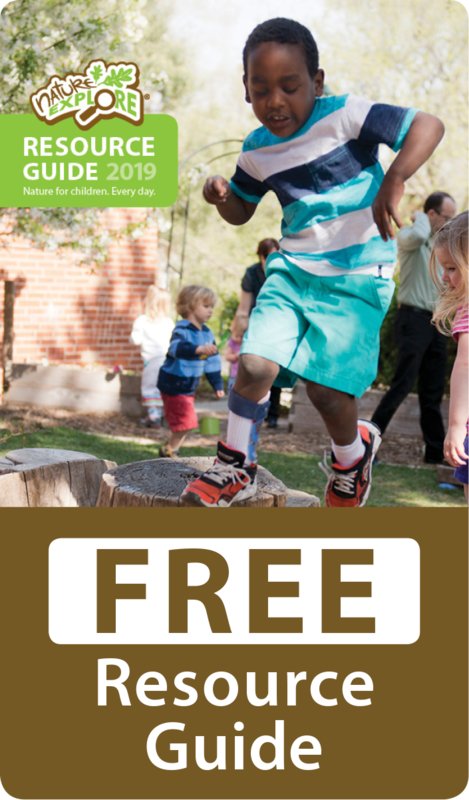 We are fortunate to have many area parks, arboretums and the Buffalo Bayou where children can experience green space and plants and animals native to south Texas. Although a visit with nature is important we have learned through research that children benefit from daily hands-on experiences with their natural world. These experiences give children a better understanding of the world and of each other and so our journey as an outdoor Nature Explore Classroom begins. 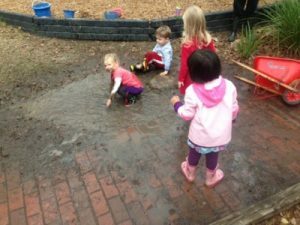 The nursery school has always valued and supported children’s outdoor play. Rain boots and a change of clothes are necessities at Poe Co. 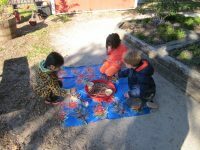 The significance of a quality, well-planned outdoor learning environment began to take on greater importance in the year 2000. During that spring, Poe Co and Poe Elementary parents, grandparents and alumni raised over $25,000 to completely redevelop the current elementary playground. This new playground with additional climbing structures, biking paths and music and theatrical areas was inspired by the teachers and built by parents. We continue our journey. During the year 2012 again through the vision and hard work of current Poe Co families, a plan to replace the existing chain link fence with a new wrought iron fence and entryway gate was set in motion. Fundraising efforts of current and previous Poe Co families with the addition of community support brought the fence to fruition. 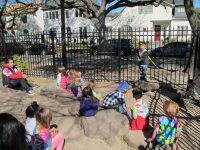 Following the fence installation the school hired a certified playground inspector to review and make suggestions for repairs and or changes. A specialist at the Arboretum inspected the drainage situation and observations of the children at play were completed by the teachers and parents. We wanted to make sure the redesign was safe and that we had created areas that were appropriate to the children’s exploration and play. 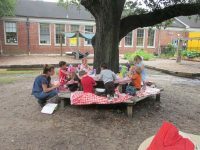 The Houston heat and humidity was also a significant factor in the design of the outdoor classroom. Heat tolerant plants and areas that offered shade were utilized. 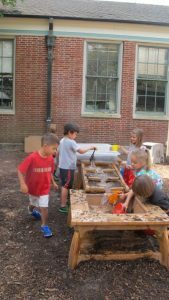 As the outdoor classroom evolved, the teachers became more intentional about the activities and natural elements that were placed at the outdoor block building area and the art and water tables.